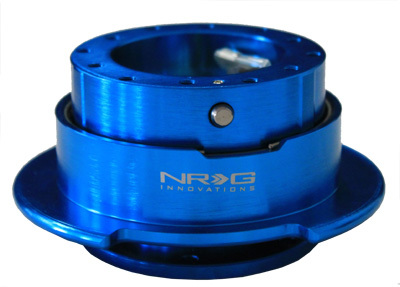 The SRK-250NB Quick Release utilizes all the features of the Second Generation Systems ball-locking quick release system engineered with raised sections to prevent the scratching and stretching of the hub while a self locking feature adds increased safety and functionality, with the added benefit of an upgraded flared ring. This allows much easier release for the steering wheel by providing added leverage and grip onto the pull ring. Features a new blue body with a new blue ring for added style and look to any vehicle. Perfect for race applications where the use of gloves are required.